Here’s a release I wasn’t expecting! No story listing is available but I suspect it contains the entire text of the Del Rey edition even if it doesn’t use the art. 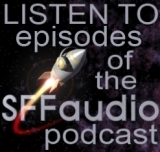 And the narrator sounds okay too! Robert E. Howard is famous for creating such immortal heroes as Conan the Cimmerian, Solomon Kane, and Bran Mak Morn. Less well-known but equally extraordinary are his non-fantasy adventure stories set in the Middle East and featuring such two-fisted heroes as Francis Xavier Gordon, known as “El Borak”, Kirby O’Donnell, and Steve Clarney. This trio of hard-fighting Americans, civilized men with more than a touch of the primordial in their veins, marked a new direction for Howard’s writing and new territory for his genius to conquer. 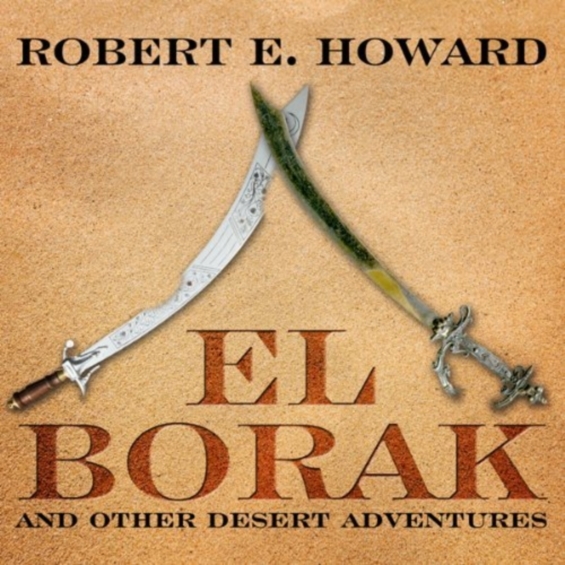 The wily Texan El Borak, a hardened fighter who stalks the sandscapes of Afghanistan like a vengeful wolf, is rivaled among Howard’s creations only by Conan himself. In such classic tales as “The Daughter of Erlik Khan”, “Three-Bladed Doom”, and “Sons of the Hawk”, Howard proves himself once again a master of action, and with plenty of eerie atmosphere his plotting becomes tighter and twistier than ever, resulting in stories worthy of comparison to Jack London and Rudyard Kipling. Every fan of Robert E. Howard and aficionados of great adventure writing will want to own this collection of the best of Howard’s desert tales.